The Toyota Camry is more than just a sedan: it's a long-lived legend that truly earns the status of a world car. 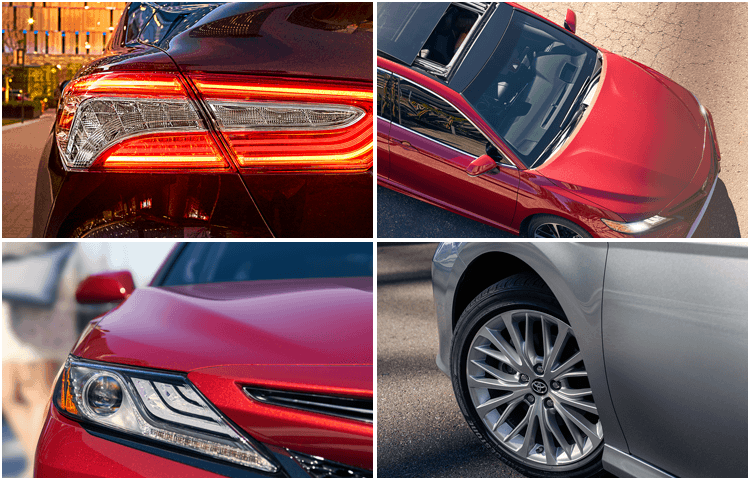 The new 2018 model brings new and exciting things to the Camry, and we're proud to carry it here at Titus-Will Toyota! Keep on reading to learn more about what the 2018 Camry has to offer; then, when you're ready for a test drive, head on in! The Toyota Camry has been redesigned for 2018 with a sleek, bold, and athletic new look. It's available in five high-quality trim levels, starting with the L. It may be the base trim, but it still contains impressive features like Bi-LED combination headlights (w/ auto on/off), 16” wheels, Entune™ Audio, an integrated backup camera, and so much more. Upgrading to the LE will get you extra feature like 17” alloy wheels and an optional power tilt/slide moonroof, while the SE has 18” black machined-finish alloy wheels, color-keyed rear spoiler, and Sport SofTex-trimmed front seats. If you want extra features like LED headlights and taillights, bright metallic front grille, 18” chrome machined-finish alloy wheels, and leather-trimmed multi-stage heated front seats, you can upgrade to the XLE. At the top of the line, the XSE comes with smoke-tinted LED headlights and taillights, 19” black machined-finish alloy wheels, dual exhaust (w/ quad chrome tips), and so much more! 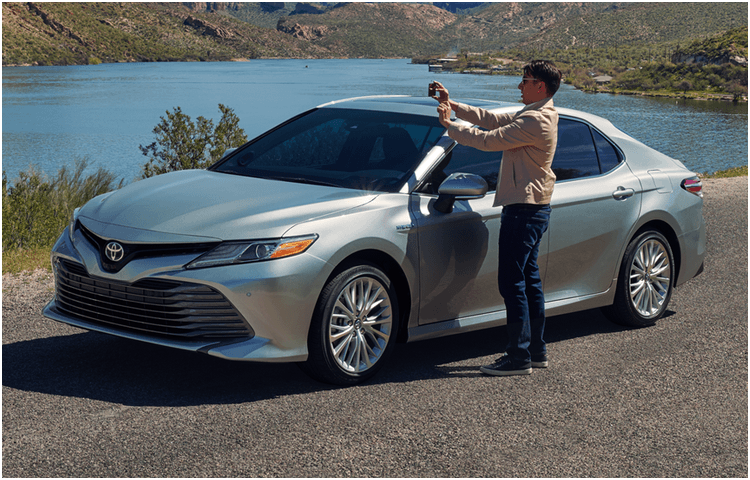 Toyota takes great pride in producing incredibly safe vehicles, which is why they've used the latest technological advances to make the 2018 Camry amazingly safe. 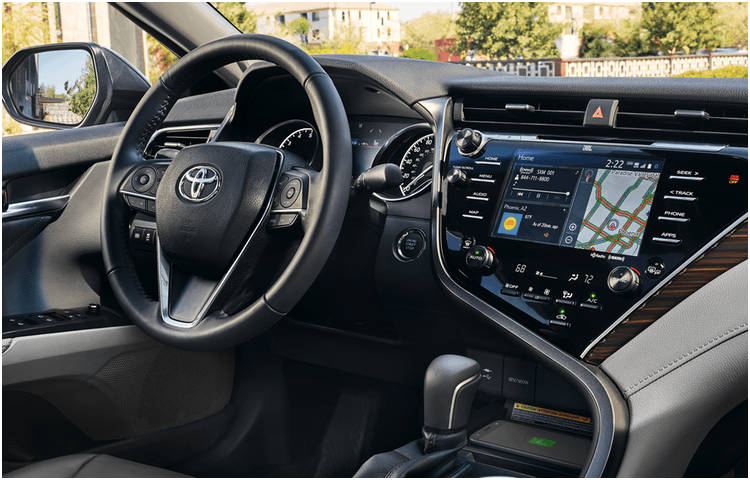 Every single Camry comes with the Star Safety System, which includes Enhanced Vehicle Stability Control, Traction Control, 4-wheel Anti-lock Brake System, Electronic Brake-force Distribution, Brake Assist, and Smart Stop Technology. In addition, all 2018 Camry models contain Toyota Safety Sense P, which includes Pre-Collision System w/ Pedestrian Detection, Lane Departure Alert w/Steering Assist, Automatic High Beams, and either Dynamic Radar Cruise Control or Full-Speed Range Dynamic Radar Cruise Control. And that's just the beginning! 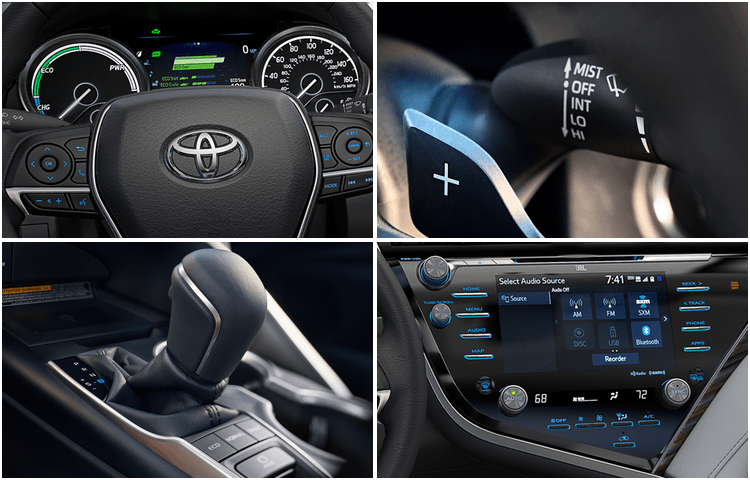 Stop by Titus-Will Toyota to learn about even more great safety features! When it comes to performance, the Camry gives you two impressive options. The all-new 2.5-liter Dynamic Force 4-cylinder engine uses a D-4S direct-injection system and puts out an impressive 203 horsepower and 184 pound-feet of torque. You can also choose the improved 3.5-liter V6 DOHC 24-valve D-4S engine, which generates an incredible 301 horsepower and 267 pound-feet of torque! No matter which engine you choose, you're sure to find that the 2018 Camry is a pleasure to drive--so come give it a try at Titus-Will Toyota! Titus-Will Toyota has been serving the automotive needs of the Puget Sound area since 1981, and we can't wait to show you our huge inventory of the latest Toyota models. When you find the perfect model for your needs, be sure to check out our frequently updated new Toyota special offers to save even more. You'll also find detailed information in our Toyota model pages. We make financing easy, and we also carry a variety of certified pre-owned Toyota models along with quality used vehicles. Come see us at 3506 S Sprague Ave, Tacoma, WA 98409 or give us a call for more information. Scheduling your next test drive is quick and easy with our online scheduling form for Titus-Will Toyota proudly serving Puyallup and Auburn, WA. * MSRP excludes the Delivery, Processing, and Handling Fee of $885 for Cars (Yaris, Yaris iA, 86, Corolla, Corolla iM, Camry, Camry HV, Prius LB, Prius, Prius Prime, Mirai, Camry, Camry HV), $960 for Small/Medium Trucks, SUVs and Van (C-HR, RAV4, RAV4 HV, Highlander, Highlander HV, 4Runner, Sienna, Tacoma), $1,195 for Large SUVs (Sequoia, Land Cruiser), and $1,195 for Large Truck (Tundra). (Historically, vehicle manufacturers and distributors have charged a separate fee for processing, handling and delivering vehicles to dealerships. Toyota's charge for these services is called the "Delivery, Processing and Handling Fee" and is based on the value of the processing, handling and delivery services Toyota provides as well as Toyota's overall pricing structure. Toyota may make a profit on the Delivery, Processing and Handling Fee.) Excludes taxes, license, title and available or regionally required equipment. The Delivery, Processing and Handling Fee in AL, AR, FL, GA, LA, MS, NC, OK, SC and TX will be higher. Actual dealer price will vary.